Don't rely on the good grace of your customer to get paid. Take control of the payment. You've provided the service and now you should be recompensed. Flobot has built in card processing software. Take a card payment from your customer in the field or in the office. Securely store card details for future payments, save time and increase your cash-flow, today. 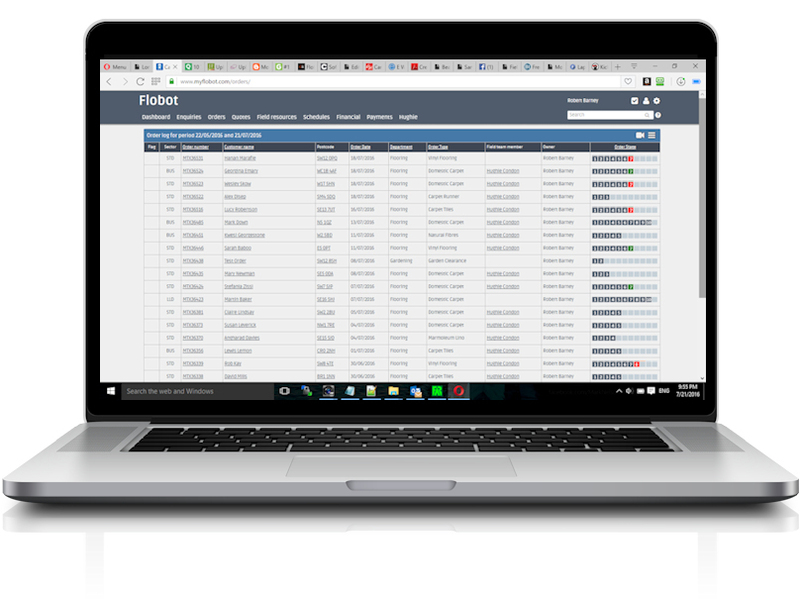 Get estimates and quotations out to your customers quickly with Flobot's built in quotation module which uses the stored details of your customers. Saves a lot of double entry. Track all the quotes and estimates you send, discover your closing ratios and improves them to make more money. And now using the PostMark system you can ensure they are delivered to your intended recipient. Send the right contractors and engineers to the right clients at the right time. 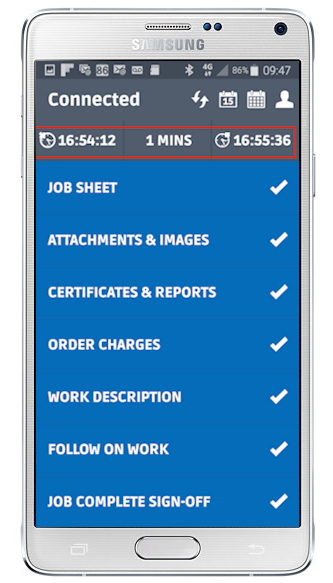 Flobot differentiates between jobs and quote appointments with a colour coded system. And it sends an email and an SMS text message to make sure your customer is informed of the appointment and what has been agreed. It will send one to your contractor too. Invoices need to be sent out accurately and quickly to ensure fast payment form your clients. DOn't wait and miss a payment cycle. Flobot allows you to create and send invoices from the office or the field. Install the payment gateway and you can even send a payment link for them to pay with a debit or credit card online. When you need to know how your business is doing Flobot makes it easy. The dashboard gives you a high level overview of how it's running. More details can be provided by drilling down into every area of your business. Profit, costs, turnover, quote closure ratio, number of outstanding invoices and value, appointments per week, jobs per month, average order values. Whatever you need it is at your fingertips. Sometimes you might just need something as simple as a database to store your clients. And Flobot makes this easy by allowing you to upload a .csv or .xls file straight into the system to populate the database before you've even started using it. Flobot works just as well if you are sitting at a desk with a mouse and keyboard as it does if you're sitting in a van with a tablet. You can even use it on a smart phone. So you can run your business from anywhere. Flobot will send SMS message to your contractors and customers, it will use the PostMark system to ensure delivery of your quotes and invoices to the right people, it will make life easy for you by using Postcode Anywhere to find your addresses and it will talk to Xero about your accounts. And we'll keep building more integration with your favourite business software.